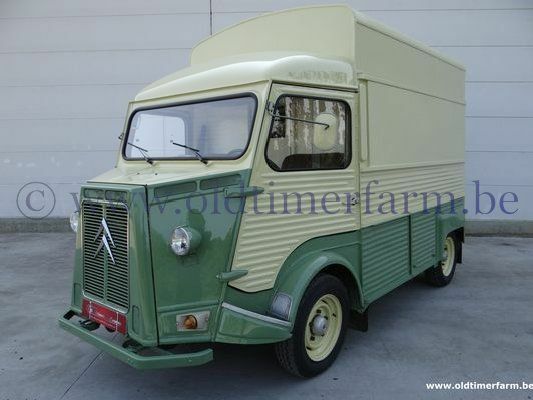 The Citroën H Van, Type H, H-Type or HY is a light truck (or delivery van) produced by the French car maker Citroën between 1947 and 1981. 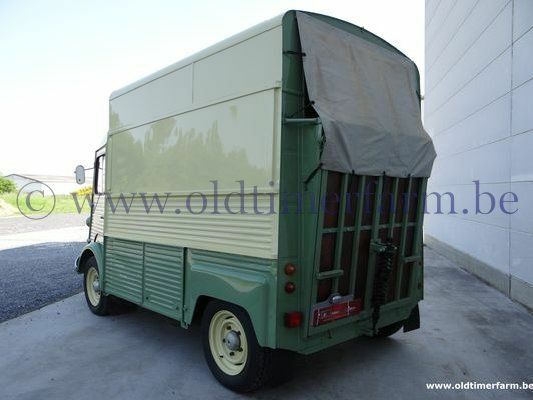 It was developed as a simple front wheel driven van after World War II. A total of 473,289 were produced in 34 years in factories in France and Belgium. Most of them were sold in France, Belgium and the Netherlands. They were not sold in the UK in right hand drive. Citroen's teams worked on 8 projects and only the last one was developed, giving it its name : "H". Most Type H vans were sold as model HY. Other models include H (early versions), HX (lesser load capacity), HZ, and HW (greater load capacity). For a time they were also sold as model 1600. In France, this strange (or funny) looking van is known as "Nez de Cochon", "Pig Nose". When used by the police, it was called "panier à salade", "salad basket". The engine, gear box and many smaller parts are well known from other Citroën models. The engine and gearbox are nearly identical as in the Traction Avant and later the DS, only mounted with the engine to front. The head lights and speedometer were identical to the 2CV for many years. The distinctive corrugated body work was inspired by German Junkers (Aircraft) of the 1930s, the three engined Junkers Ju 52, being the last to use this construction. The ribs added strength without adding weight, and required only simple, low cost press tools. The flat body panels were braced on the inside by 'top hat' box sections, at right angles to the ribs. Rear hinged 'Suicide' cab doors were used until the end of production in 1981.